Highlights are the perfect way to jazz up any hairstyle or any hair color for that matter. And what can do the job better than blonde? The combination between brown and blonde is a classic and timeless one that works great on all skin types and transitions seamlessly from one season to another. This means you can wear it all year long if you want. 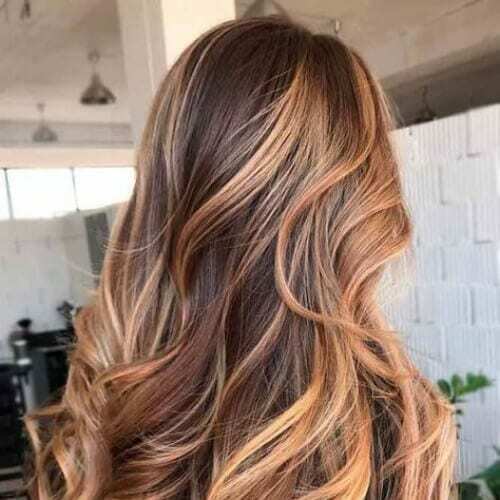 Therefore, we’ve compiled a list of 50 stunning brown hair with blonde highlights ideas that will make you feel jealous. This combination’s name is pretty self-explanatory. 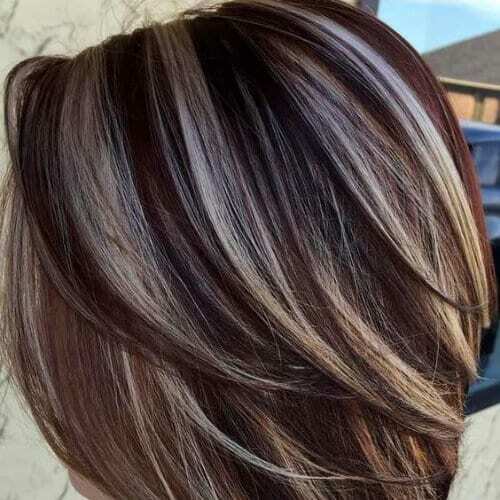 The base color here is a warm and rich brown while the highlights themselves are a creamy and white blonde. Hence the resemblance to the coffee and cream beverage. Medium brown already has a healthy dose of blonde in it because it’s a halfway shade between your natural color and dark brown. Therefore, it pairs rather nicely with the blonde highlights which light it up from within. 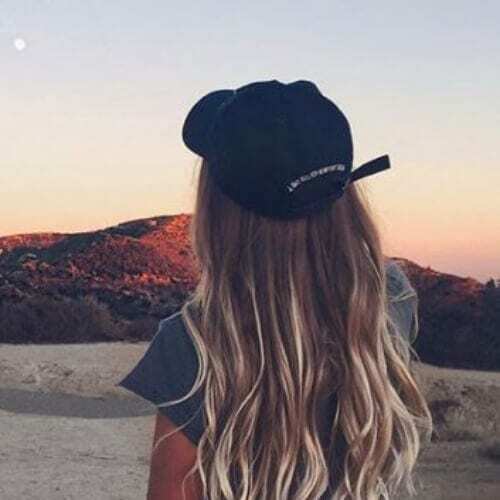 These simple beach waves are perfect for showcasing your brown hair with blonde highlights. 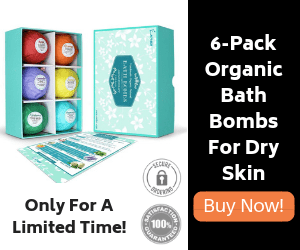 If you need to learn how to create them, there are plenty of YouTube tutorials showing you how to do it in under five minutes. When you have blonde highlights, a simple hairdo such as a messy bun becomes a swirling mess of chic, effortless style. This is why wearing the perfect color matters so much. Because even the blandest of hairstyles can turn interesting. There are many bobs out there, one more interesting than the other and we suggest you try a fair few since the bob haircut is definitely having a moment right now. 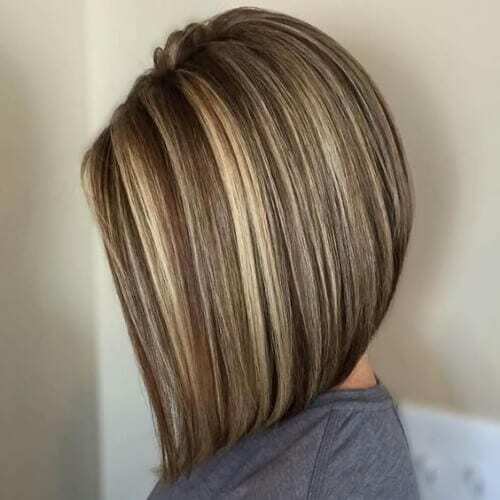 This one is called the concave bob, and it’s spectacular in brown hair with blonde highlights. This is a shade that works really well if you have peachy or glowing, tanned skin. The golden hues of the hair will pick up on the tan tones of the skin and bring them out. Therefore, it’s a marvelous color for summertime. Speaking of bobs, this is a shoulder-length bob with a brown base and a natural blonde ombre. It has a few lowlights as well that help with the whole natural feel of the look. It’s a match for girls who want to make it seem effortless. If you have several different tones in your hair, curls are the best way of showing them off. Even if you don’t have naturally curly hair, don’t worry. Bring out that old hair curler and start working it again. Honey brown hair is a major styling trend right now. Everybody seems to be wearing it and not just as a fall color, but all year round. Try some blonde highlights and lowlights to lighten it up and make it more natural. Creating a contrast between dark brown hair and light blonde highlights will bring out both colors. They shine when they oppose each other and look best when put next to something that opposes them on the spectrum. 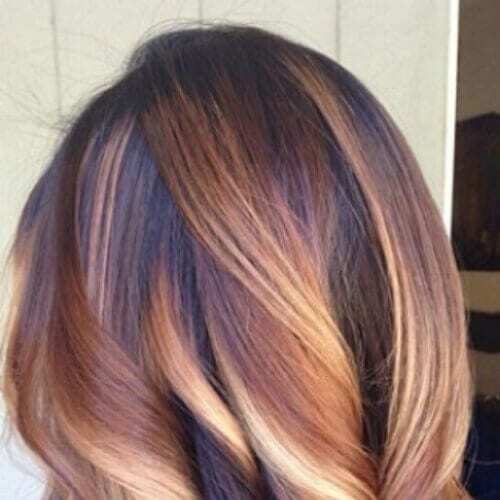 Another shade you should consider mixing in with your blonde and brown mashup is caramel. It is, in fact, a mixture of the two, but a lot sweeter and with a metallic finish to it. Use it as the base for your lowlights. You can also showcase your highlights in a braid. 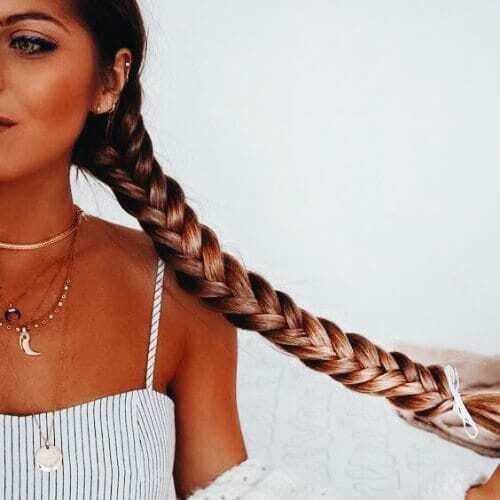 If you want to stay on top of the trends, you need to know that braids are still going strong as you might have noticed both on Instagram and on the runway. This wavy bob is all you need for your summer inspiration lookbook. 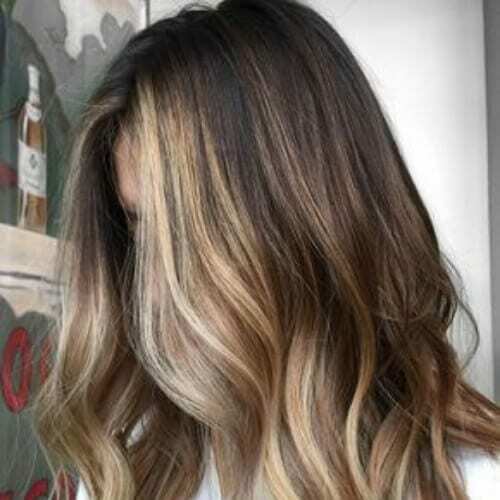 It has different shades of blonde highlights and a wonderful dark brown base. Pair it up with appropriate beach makeup, and you are ready for a holiday. Long hair dyed in a simple, basic, brown color might not turn out to be the exciting hairstyle you’ve always dreamed about. However, when you add icy blonde highlights, you’ve got locks fit for a supermodel. Speaking of icy blondes, you can also try platinum highlights, seeing as platinum is the color of the season. Start off with a medium brown base so that the contrast between the two shades is not too stark. Always looking tanned and ready for the camera, supermodel and Twitter’s funniest celebrity Chrissy Teigen makes sure her brown hair has some blonde highlights that can bring out those tanned shades of her skin. A layered haircut is a simple trick you can use if you happen to have fine hair. The layers add volume to your hair, creating the illusion of extra body where there actually is none. Try this trick for yourself. It’s no secret that the Kardashian and Jenner sisters always look picture perfect. Their makeup is on fleek because of their secret contouring techniques. Apart from that, their hair follows the latest trends. Here’s sister Khloe sporting brown hair with blonde highlights. 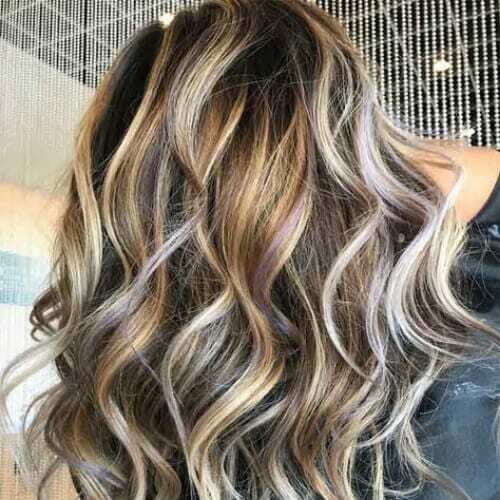 There are many types of highlights you can try and the ones you select depend on your personal preferences as well as on what your stylist recommends for your hair. You can get the classic type or the chunky kind, which are bigger and more visible. This Latina singer and actress takes great pride in her tresses and she should. She has a wonderful head of hair, one of the best in the business, we might add. The blonde highlights sweeten up her features and make her look a bit more feminine. Actress Jessica Biel has always loved brown hair with blonde highlights and has stayed faithful to this combination for a long time. We can understand why. Brown is the color that makes her look best, so why not stick with it? She’s not the queen of hairstyles for nothing. Jennifer Aniston has been a pioneer of brown hair with blonde highlights ever since her first appearance on Friends back in 1994. She has been wearing this little mix ever since, not being quite able to make up her mind if she wants to be a blonde or not. We just love the fact that the gorgeous Elizabeth Olsen can keep it so natural while looking so beautiful. And part of her natural beauty is definitely the fact that she wears brown hair with blonde highlights. Another leading lady who was sporting this trend way back in the day before it was cool is songstress Jessica Simpson. She was the picture of 2000s perfection with her smoky eyes and her insane amounts of clear lip gloss. 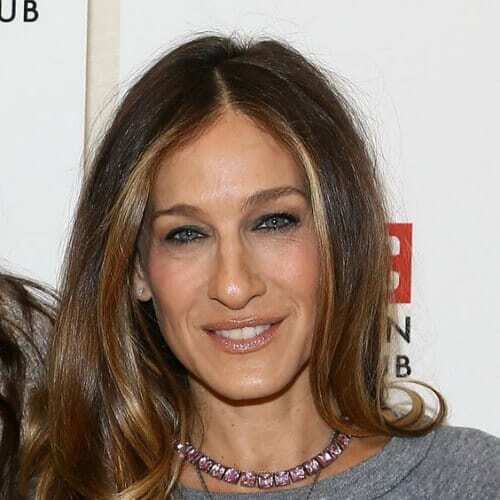 Leaving her Carrie Bradshaw days behind, Sarah Jessica Parker also said goodbye to the iconic blonde curly hairstyle that made her and her character famous. As she got older she turned to long, straight hairstyles in a more natural brown. We’ve already seen her sister Khloe so now let’s take a look at the queen of the Kardashian clan, Kim herself. Although she has sported quite the plethora of hair colors through the years, brown hair with blonde highlights is what established her. This Brazilian model has undoubtedly one of the most beautiful faces in the business. So much so that she doesn’t need a lot of makeup or changes to her looks. She still wears her hair brown with some specks of blonde to highlight her blue eyes. Brown hair with blonde highlights has never looked more sugar-sweet than it does on actress Lucy Hale. In fact, she is our inspiration for the holiday season with this look which is just perfection from head to toe. Back in the day when Victoria Beckham was still Posh Spice and wanted to continue her singing career, she had a different look, in the sense that she really wanted to be blonde. Slowly, though, she transitioned to full-time brown-haired girl. Before she became a rebel and started doing her own thing, Miley Cyrus was a fresh-faced teenager who was more known as Hannah Montana than anything else. She used to wear brown hair with blonde highlights and very little makeup. Queen Bey has always toed the line between brown and blonde hair without ever settling on one of the two colors. The combination brings out the loveliness of both her skin tone and her gorgeous coffee-colored eyes. We rather like the interesting way in which actress Anne Hathaway decided to interpret the concept of brown hair with blonde highlights. She actually has a set of caramel peekaboos that frame her face and nothing else. Here’s British beauty Kate Beckinsale with a throwback picture of the quintessential brown hair with blonde highlights of the 2000s. 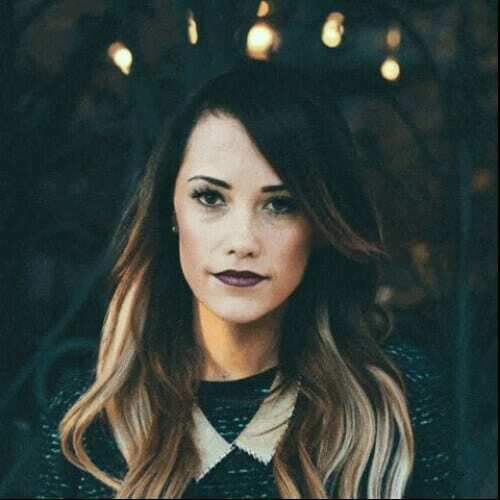 If you look closely you will see that she has blonde streaks all over her hair. Blonde highlights were a fine choice for this gorgeous model. She has a stunning pair of light blue eyes which need a boost that only blonde hair can give you. But she also has a very angular face which is sweetened to some degree by the very feminine blonde hair. We can all agree that Penelope Cruz is absolute perfection in everything she does, style wise. Therefore, a few dirty blonde highlights in her nutmeg brown her can only illuminate her dark eyes and make them pop out even more. Another actress in possession of a serious set of baby blue eyes is British babe Emily Blunt. This being said, she opted for the same optic trick of placing some blonde highlights around her face so that she could flaunt those gorgeous peepers. Even though we can probably all agree that brunette is Demi’s color, she had a long period when she was blonde. She then started to make the transition to hot brunette and brown hair with blonde highlights was there to support her. Actress Megan Fox is here to teach us all how even the most conventional and traditional of all color combinations can still look incredibly sultry. 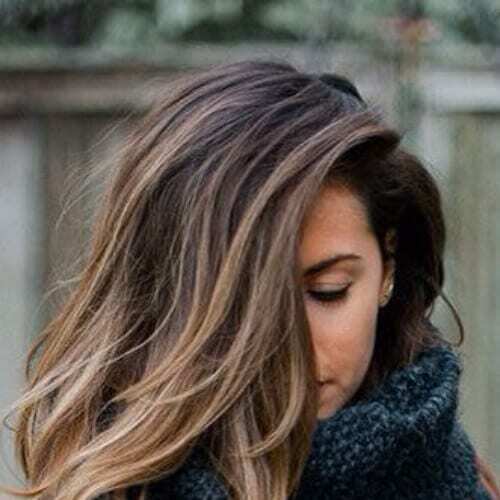 Here highlights are chunky and are closer to an ombre job than anything else. This actress who once dated Chris Evans has a proud display of caramel blonde highlights in her brown hair. We also love that she has opted for a layered haircut which makes her look like an effortless bombshell of the silver screen. If you’re a fashionista and you’re not following Olivia Palermo already, you don’t know what you’re missing out. She’s a style and fashion guru through and through and her hair and makeup choices are no different. Who needs a lot of makeup or an out of the box hair color when you’re an international model, your name is Lily Aldridge, and your face is literally like the cover of a magazine? This is what natural beauty looks like. Speaking of internally famous models, Izabel Goulart, a former Victoria’s Secret angel, loves brown hair with blonde highlights as well. She opted for a single blonde peekaboo at the front and lots of small lowlights all over her hair. We just can’t get enough of Victoria’s Secret angels, so here’s another one. Miranda Kerr is a flawless beauty with a heart shaped face like a porcelain doll, blue eyes, and perfect hair. Copy her look and wear it every day. Here’s an example of brown hair with blonde highlights and bangs. Singer Ciara opted for extra long and wispy bangs that reach the line of her cheekbones and which are parted down the middle in a symmetrical hairstyle. This can easily be your hairstyle if you have to attend a garden wedding. These sweetheart curls are incredibly easy to make right at home, which means that you can save the money you would otherwise be spending at the salon. Hair and makeup always on fleek, actress Eva Longoria pairs the beautiful golden blonde highlights in her coffee brown hair with the statement golden jewelry that she’s wearing. The lady is a true fashionista! You know her from Gossip Girl, but you love her for this fantastic shoulder length bob with a textured finish and choppy ends. The haircut is parted down the middle to make for a bit more symmetry and has blonde highlights. Jennifer Lawrence’s long pixie cut at the 2014 Oscars was brown hair with blonde highlights perfection. She wore a fabulous slick back which allowed us to see every single blonde highlight aligned to perfection. She’s extremely famous for her huge head of curls which she used to wear in the 80s and 90s but she’s just as famous for refusing to wear them anymore since the beginning of the 2000s. That’s right. Julia has been straightening her hair ever since. Amy Phoeler’s reddish brown hair with blonde highlights is an inspiration to us all, proving you can be everything if you want to – smart, funny, successful, beautiful, and stylish, all at the same time. 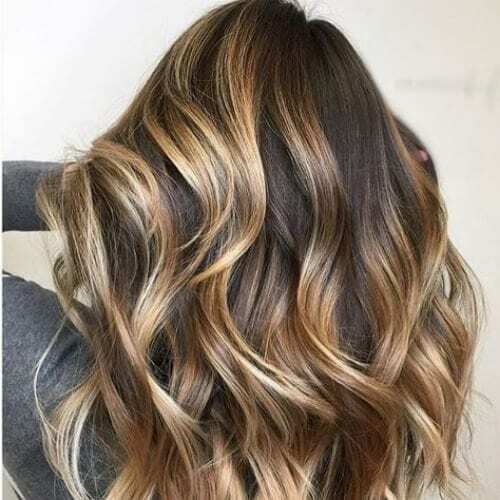 Brown hair with blonde highlights is a basic color combination that is a must in any fashionista’s bag of tricks. However, as you have seen from our list, basic is by no means outdated or out of style. Find your inspiration right here and try brown hair with blonde hairstyle in a fun and modern way. Let us know in the comment section below which one was your favorite!